People don't go to a Rajnikanth movie expecting a modern classic. They have certain expectations about any movie of his and these include large dollops of comedy, politically-tinged dialogs, a few fights and song and dance. Of course, it goes without saying that he always gets his girl and good triumphs over evil. K.S.Ravikumar proves to be perfect for the job and delivers a movie that has the right mix of all of the above. In the process, he makes most sections of the audience happy and the result was seen in the success of Muthu, among the biggest blockbusters in Rajnikanth's career. Muthu(Rajnikanth) is the loyal servant of a zamindar(Sarathbabu). The zamindar falls in love with Ranganayagi(Meena), a drama artiste, but circumstances cause Muthu and Ranganayagi, neither of whom know about the zamindar's love for her, to fall in love. The zamindar's mind is poisoned by his uncle(Radharavi), who harbors hopes that the zamindar would wed his own daughter and he drives Muthu out of the house. But his mother reveals the truth about Muthu's past and explains to him that it was Muthu who was actually the zamindar. As was the case with the recent Friends, Muthu is another movie that has its origins in Malayalam cinema but underwent several changes keeping in mind the requirements of tamil cinema with respect to the image of Rajnikanth. It is based on the Mohanlal-Shobana starrer Thenmaavin Kombathu and maintains the basic story of the original while adding the whole storyline about Rajnikanth's past. This enables introducing a double role for Rajnikanth, allowing him to spout even more philosophies about life and making his fans doubly happy. Most of the comedy is seen in the first half with the segment where Rajnikanth and Meena get lost and end up in Kerala providing most of the laughs. Rajnikanth's encounters as Meena provides with the wrong translation for asking directions and the end result are wholeheartedly funny. His initial friction with her also provides some humor, especially during the fight sequence. Though Senthil, Vadivelu and co. are also at hand, their comedy is cheap and except for a few lines, rarely funny. Apart from these, the movie has some segments that stand out. The segment with the older Rajnikanth is handled well, with the character of the quiet, good-hearted zamindar suiting Rajnikanth very well. Similarly, the whole sequence with the love letter(culminating in the Thillaanaa... song) is choreographed in a funny manner. But things get a little messy towards the end. Sarathbabu's appearance after his fall is nothing short of miraculous while his abrupt aboutface is a little too convenient. As in any recent Rajnikanth movie, he dominates the proceedings, leaving little for the others to do as he successfully carries the movie on his shoulders. Meena looks sweet and acts cute, especially during her initial altercations with Rajnikanth. 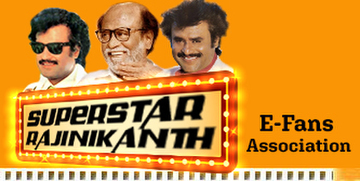 Sarathbabu has always been a lucky actor for Rajnikanth with all of the movies where they appeared together being hits. Muthu adds to this list. A.R.Rehman delivers a hit soundtrack with Oruvan Oruvan... and Kuluvaalile... being the picks. Thillaanaa Thillaanaa... is catchy and picturised extremely well with the bright colors and fast steps.